This adventurist couple share a birthday month but get their own (half) a cake! 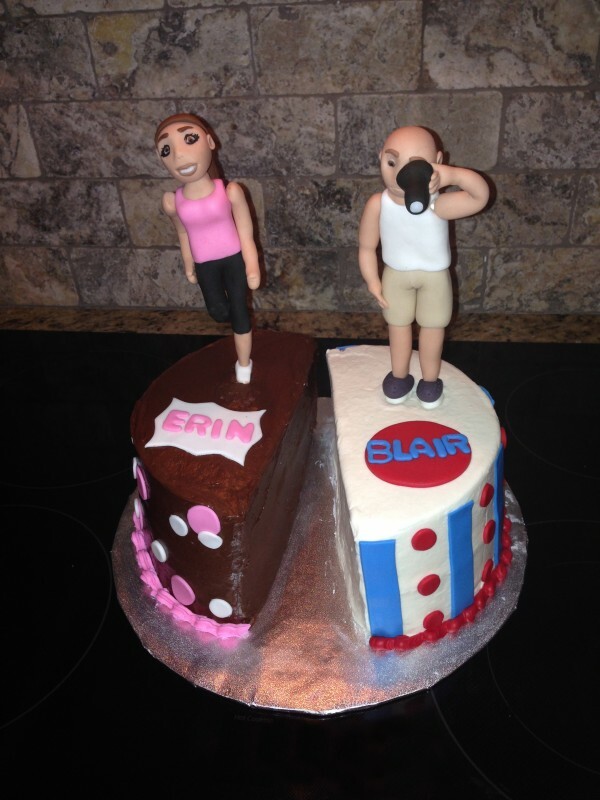 Erin’s is completely sugar-free, while Blair’s cake is loaded with booze (Kahlua cake with Bailey’s Irish Buttercream frosting… can you say, “legend…. hiccup…. dary!”). The charming edible figurine toppers are also hand made from fondant. Dual Birthday Cake for a couple. « “We’re gonna need a bigger boat!” Shark Cake!